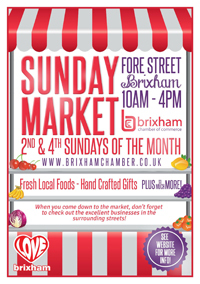 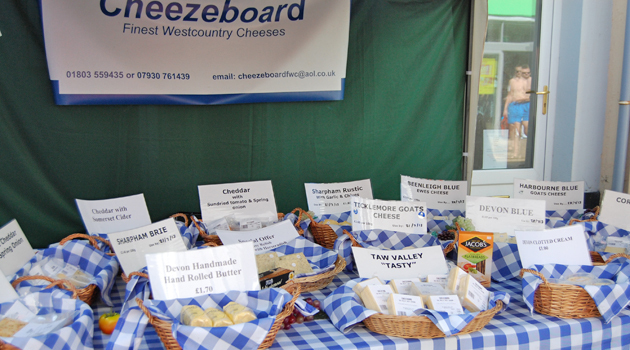 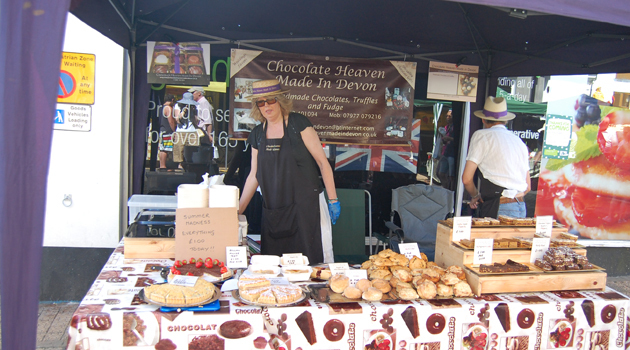 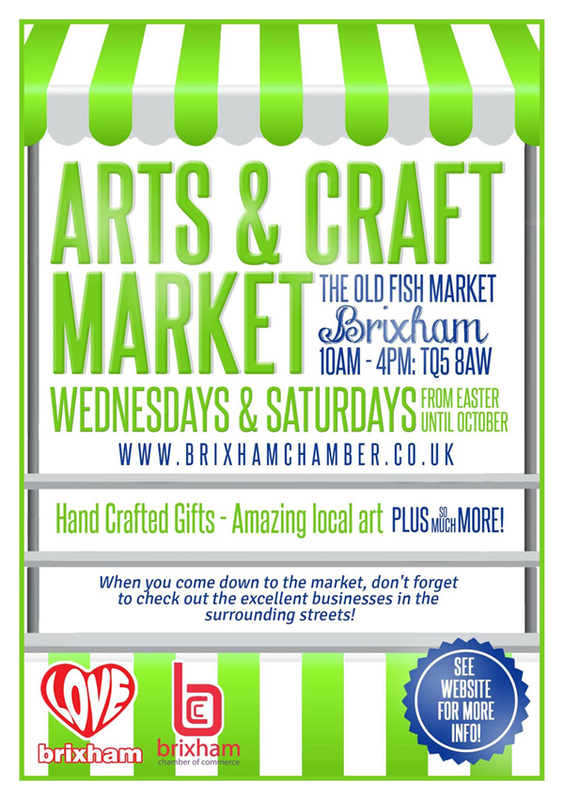 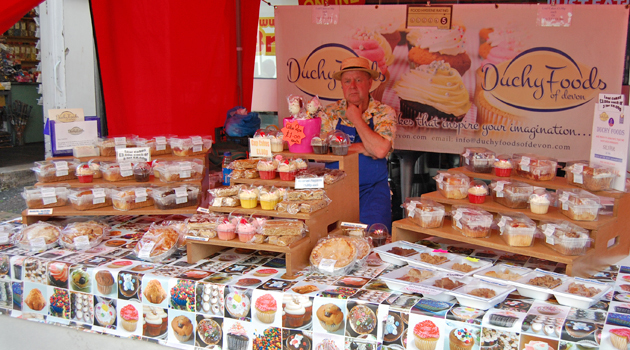 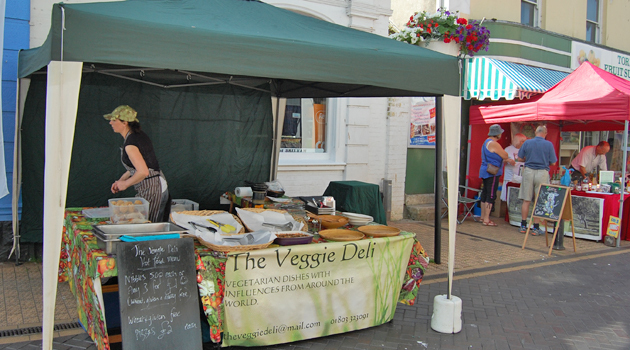 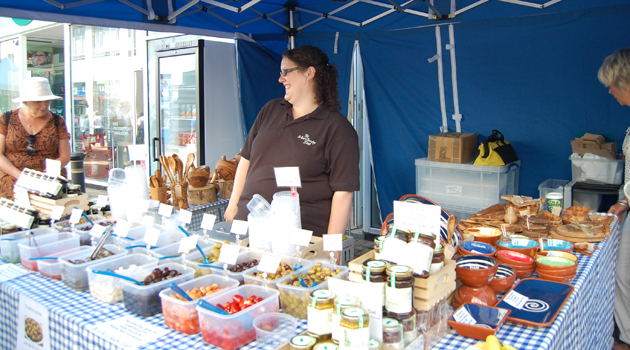 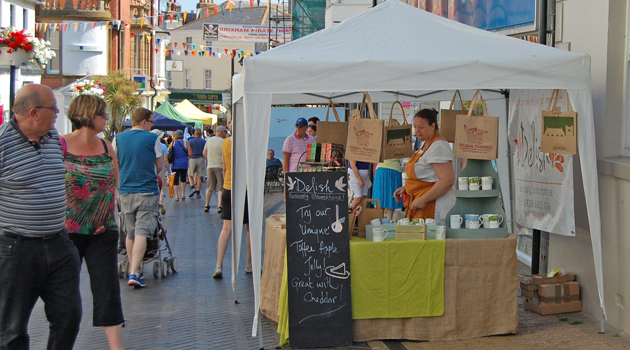 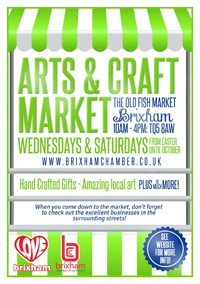 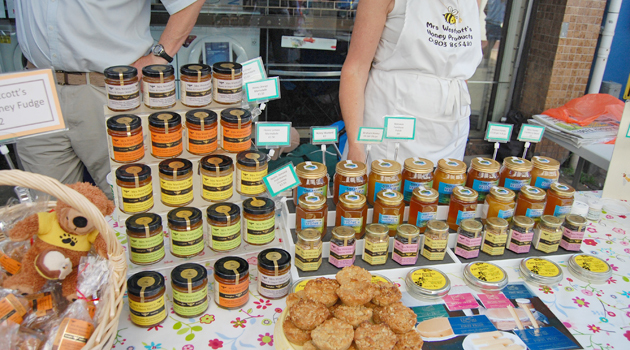 Brixham Sunday Market is managed by Brixham Chamber and takes place on the second and fourth Sunday of every month from 10-4pm along Fore Street. 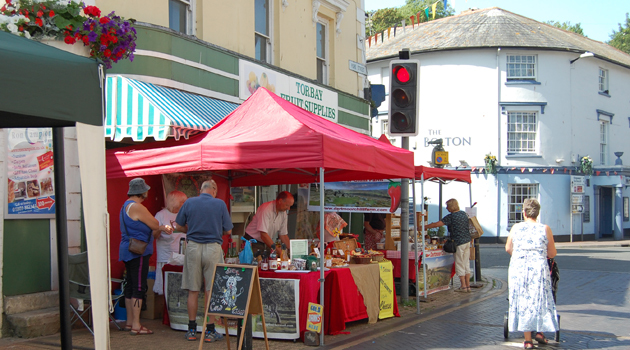 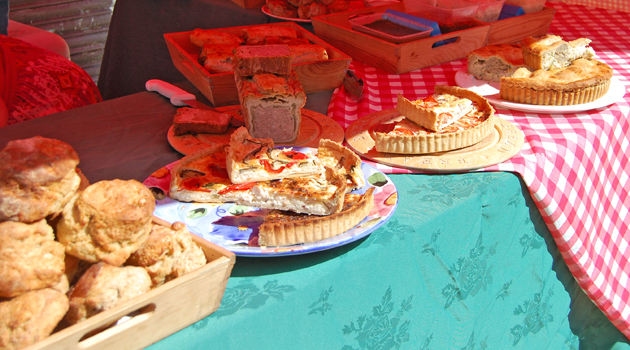 The market specializes in fresh local foods including breads and buns, cheeses, meats, pasties, gluten-free baked items, honeys, juices and preserves and and hand crafted items such as jewellery, cushions, paintings/prints and garden ornaments. 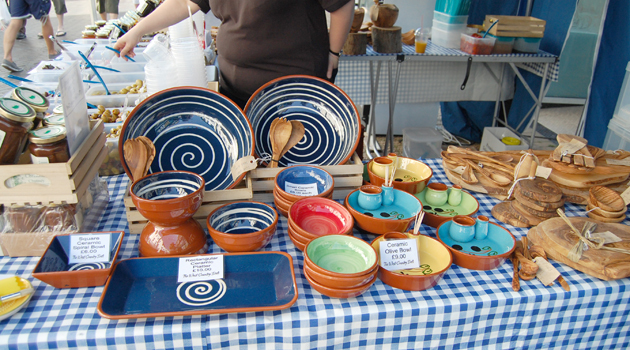 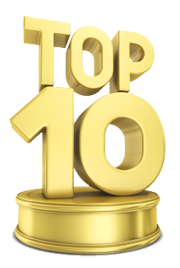 There are also specialty hot foods of local and international origin. 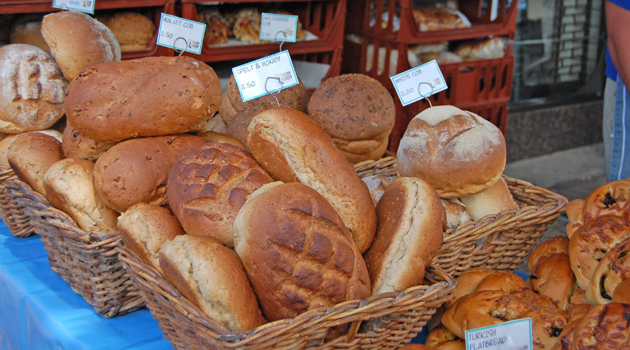 The number and mix of traders varies from month to month. 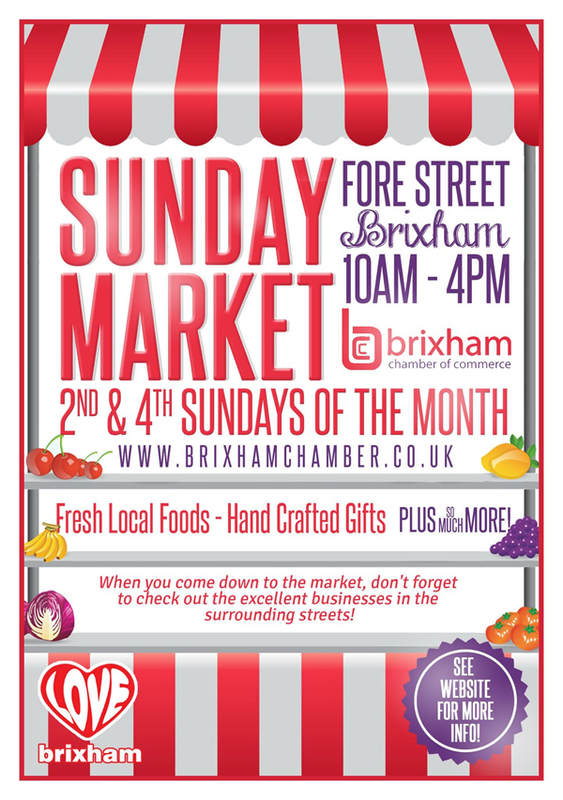 For more details, visit our Facebook and Twitter pages.